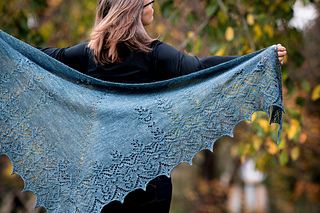 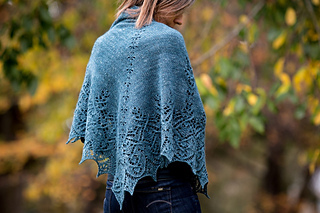 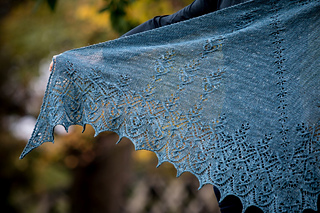 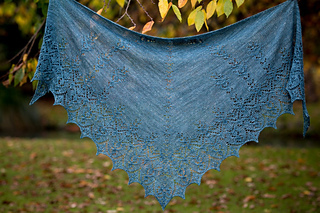 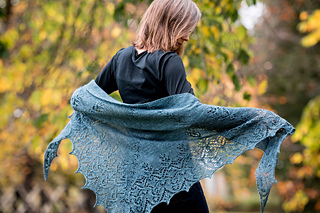 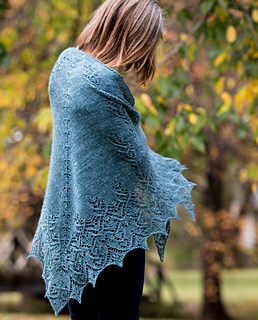 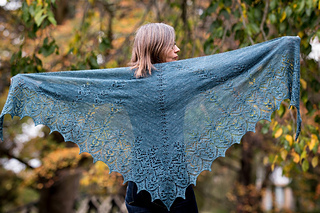 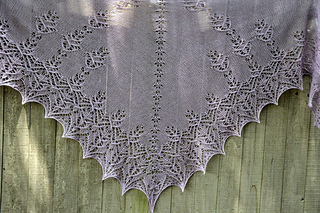 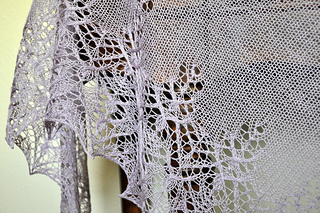 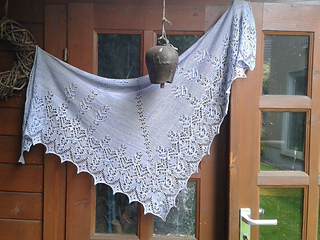 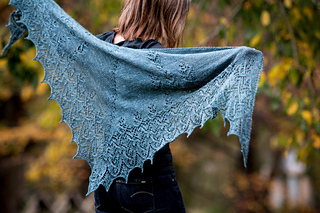 Ribbonwood is a triangular shawl featuring my favourite cabled-lace motif. 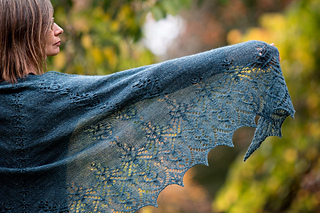 One iteration of this motif advances down each half of the shawl, then grows into three, and finally expands into a deep cabled lace border. 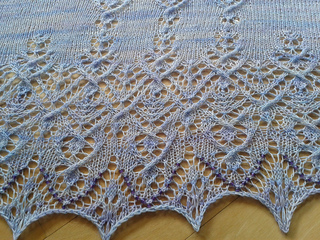 I devised a decorative central spine motif which disguises the usual yarn-over spine found in a triangular shawl. 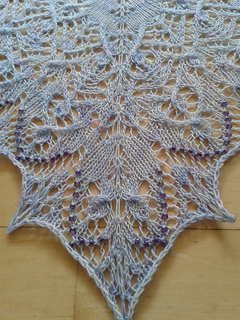 This motif results in the equivalent of two stitch increases per row. 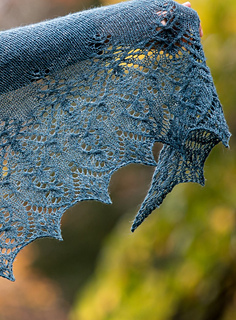 This little flower-like motif is picked up again at the very edge of the shawl and ties everything together in a cabled-lace extravaganza. 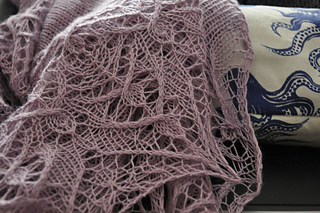 For additional information on how to work the 5 sti tch lift and 3 stitch lift, please refer to this blog post.